Central Installations is a leading Nottinghamshire supplier and installer of complete home TV solutions, intruder alarms, CCTV Systems, HDMI distribution and audio systems for Domestic and Commercial customers. Experts in the field of communication and security systems; Central Installations is a highly accredited installation company. Over 25 years experience has earned us a good reputation amongst the people we work for such as Local Authorities and Electrical Contractors throughout Nottinghamshire, Derbyshire & Lincolnshire. Free Advice. Free Quotes. Free Telephone Support. Central Installations engineers take time to listen to you and give you all available options and prices, clear and non technical information so you can make the best, most informed choice for your circumstances. All engineers are fully insured. You’ll be guaranteed an engineer with a genuine positive attitude, as well as the skills to do the job effectively and efficiently. 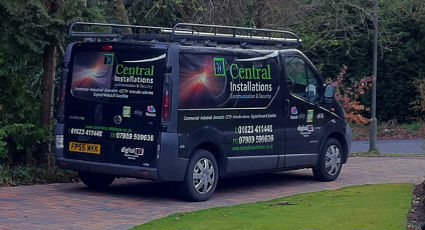 Central Installations is an established TV Aerial and Satellite Company which includes CCTV & Intruder Alarm Systems. We supply and install a complete range of equipment to suit your needs, whether it's a Television Aerial System, Satellite System, Intruder alarm or a CCTV System.